Gavriel Savit is the author of the young adult novel Anna and the Swallow Man, the winner of the 2017 Sydney Taylor Book Award in the teen category. 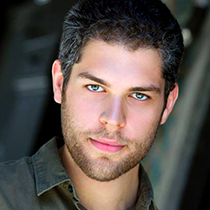 He is also an actor who has appeared in a variety of Broadway and Off-Broadway productions. He lives in Brooklyn. Q: You've described your novel as a fairy tale, but added that your relationship with fairy tales is "complicated." 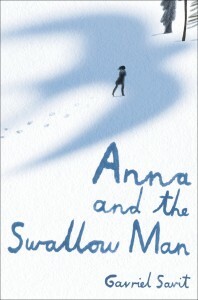 How would you say Anna and the Swallow Man fits into the fairy tale tradition, and what do you find especially complicated about the relationship? A: In some important ways, I think our fairy tales are the truest stories we allow ourselves to tell. This is probably because we assume that fairy tales are patently false. It is, of course, a bit nerve-wracking to write a fairy tale about the Second World War for that reason-- despite the strength of the historical record, it seems that there are all sorts of crazy people invested in dismantling it, and one certainly doesn't want to be implicated in that. On the other hand, I think it’s important to draw a distinction between truth and fact. Fairy tales are good at truth precisely because they dispense with fact, and without juggling these two perspectives on reality (internal and external respectively), we lose a lot of the richness of human life and culture. Q: Did you need to do much research to write about Poland in World War II? A: When working in history, I find it critical to assure that your creation jives with people's information and memory of the time and place in question. This sort of deep background is indispensable. The good news is once you've figured out where all the pieces on the chessboard are, all you have to do is determine specific details-- like, for example, the contents of a Soviet ration kit circa 1940. Fortunately, I know a search engine that's really good at serving up those sorts of answers; there may be no substitute for deep background, but in 2017, there's no substitute for Google and Wikipedia, either. Q: One theme running through the book is the use of language, and along with that, names and identity. Why was that something you chose to explore in the book? A: I'm very interested in the way that language is/can be/may be identical with magic. Naming and identity are two of the most obvious ways in which this can affect our lives: if we change our name, in some senses, we're changing our identity. If we change the language we speak, in some ways we're changing the software that operates our consciousness. These are ideas that excite me and that I'm very interested in continuing to explore. Q: As an actor and a writer, how do the two skills reinforce each other for you? A: If my acting and writing halves were separable, I think I'd say that the best thing my actor could learn from my writer is a thorough appreciation for the particular enchantment of atmosphere. The best thing my writer could learn from my actor is passionate devotion to the flawed, subjective perspective of an individual character. A: Just that I'm so grateful to you all for reading! --Interview with Deborah Kalb. This interview is part of the Sydney Taylor Award Blog Tour--for the full schedule, please click here.